Local law enforcement agencies are teaming up to combat distracted drivers.Through Feb. 19, Nevada’s law enforcement agencies will be citing drivers who are not paying attention to the road, multiple law enforcement agencies announced. 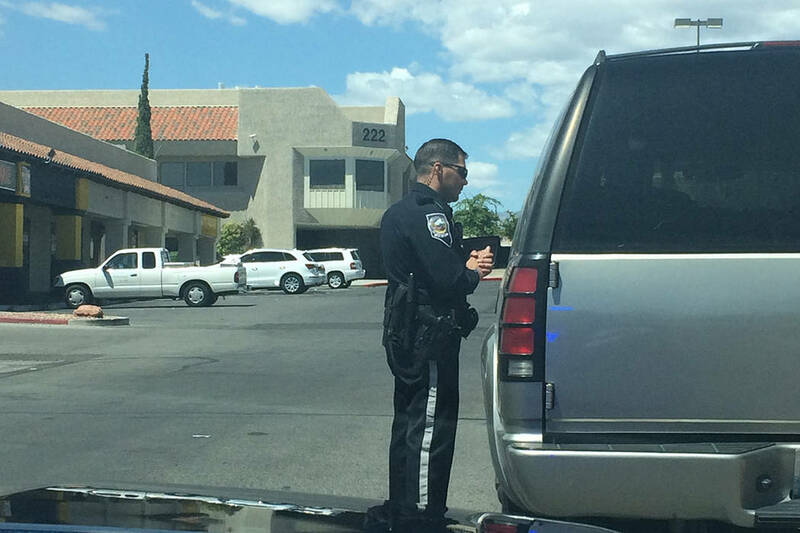 Law enforcement agencies in Nevada are teaming up to combat distracted driving. Through Feb. 19, Nevada’s law enforcement agencies will be joining forces to cite drivers who are not paying attention to the road, multiple law enforcement agencies announced. The use of handheld electronic devices — including cell phones, MP3 players and GPS devices — while driving is illegal under Nevada law, and offenders will be pulled over and cited. In 2017, 15 deaths on Nevada roads were attributed to distracted driving, according to the Department of Public Safety. While Nevada’s ban on handheld devices when driving took effect in 2012, law enforcement still cites offenders every day, according to the Nevada Highway Patrol. ■ Turn your phone off or switch to silent mode before you get in the car. If that doesn’t help, put your phone in your trunk, or out of reach. ■ Don’t text and drive, surf the web or read your email while driving. ■ Set up a message to tell callers that you are driving and you’ll get back to them as soon as possible. ■ If you need to make a call, find a safe, legal place to pull over and park to make the call, or ask a passenger to make one for you. ■ Review maps and directions before you start to drive. If you need help while on the road, ask a passenger or pull over to a safe location to review the map/directions again. ■ Secure your pets. Always secure your pets properly before you start to drive. ■ Keep the kids safe. Pull over to a safe location to address situations with your children. ■ Refrain from any activities, including smoking, eating and drinking, that take your mind and eyes off the road.